It is a name that has been associated with both stylish adventures and the golden age of travel for almost a century and a half. 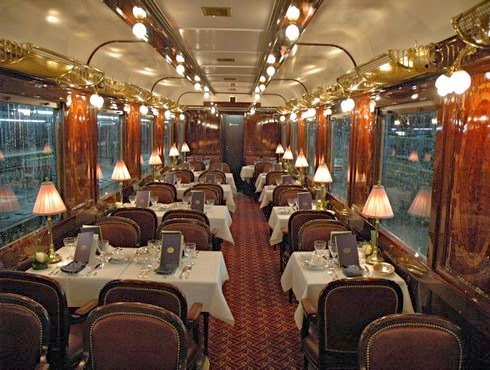 And, as of April, the Orient Express will be rebooted for the 21st century, when French rail operator SNCF restores it to the timetable. These two fabled words are most commonly associated with the train that ran from Paris to Istanbul between 1883 and 1977. It was launched by the hotel group Compagnie Internationale des Wagons-Lits, and, at its height, offered travellers the chance to journey across Europe and into Turkey’s most famous city in a rolling realm of style and comfort. However, with the growth of the European road network and the introduction of other fast passenger trains, the service gradually became a thing of the past. The main route from the French capital to Istanbul was curtailed in 1977, and a shorter trip – from Paris to Vienna – was introduced. This ran until 2007, when the service was cut again, now starting out for Vienna from the north-easterly French city of Strasbourg.